The UCW Radio Host Louis Velazquez had the opportunity to have world renowned martial arts grandmaster, Grandmaster Yi on the show. Grandmaster Wonik Yi is the founder of the World Tukong Moosul Federation and holds a 9th degree black belt, the highest designation in the Martial Arts. Master Yi also holds a doctorate degree in Education. Master Yi has devoted his entire life to the study of the Martial Arts, and he has brought his generations of knowledge to Austin, Texas in order pass that knowledge on in the USA. Grandmaster Yi spent his formative years learning Buddhism and the Martial Arts at the Dae Yeon Sa Temple in South Korea. He then went into the Korean Special Forces. In 1979, he competed in the World Martial Arts tournament and became World Champion. At this point, the Korean goverment asked him to develop a more modern, powerful, and effective fighting art. Because this style is so technically efficient the military was able to change from their present style (Tae Kwon Do) of Martial Arts to Master Yi’s style-“Tukong Moosul.” There are now over 300,000 soldiers training each year in Tukong Martial Arts. While Grandmaster Wonik Yi entered the Dae Yeon Sa Temple at the age of five in 1964, his roots to the temple can be traced back many generations. Master Kiwan Yi is the great grandfather of Grandmaster Wonik Yi. He was the teacher of Master Eun Kwang Bup Sa before he went into the temple. Master Kiwan Yi also taught his son Master Jayoung Yi who was the grandfather of Grandmaster Wonik Yi. Master Eun Kwang Bup Sa and Master Jayoung Yi were friends. When Master Eun Kwang Bup Sa had gone to the temple, Master Jayoung Yi asked him to take Grandmaster Wonik Yi into the temple for training. Master Kiwan Yi won the World Judo Championship in Japan when Korea was occupied by Japan. He was one of the greatest Judo masters at that time. He was also the last Shogun for the Korean Emperor. He later became the Korean State Governor and continued to teach Judo to Koreans. Grandmaster Yi’s grandfather, Jayoung Yi, was also a Judo Master who opened the first Yun Moo Kwan Judo School in Korea. He was also Mayor of Young Wol City in Korea. This is the heritage of Grandmaster Wonik Yi and it explains where his abilities and talents came from, as well as how tradition is carried on from one generation to the next generation. The origin of the Dae Yeon Sa Temple can be traced to AD 1200 years. The first original Temple was Dae Yeon Am, meaning “Great Achievement Place”. It was located in North Korea, and founded by Master Ji Suk along with two other masters. During this time the masters practiced Buddhism without the Martial Arts. It was only after Master Song Jae and Master Bup Kwang came to the temple that the practice of Martial Arts began around AD 1269. Several hundred years later, the temple moved to South Korea (1692) and the name changed from Dae Yeon Am to Dae Yeon Sa (“Great Achievement Temple”). At that time, three masters from China joined and continued to develop the Martial Arts. That is why the origin of the Tukong Moosul system is both a hard and soft style, a blending of Chinese and Korean techniques. In 1965, Grandmaster Wonik Yi went to the temple and began training in Buddhism and the Martial Arts. In Korea there are two types of Buddhist temples. One is similar to a church of missionary work and is open to all people. The other is solely for individuals who wish to seek self-enlightment. These temples are ones of sanctuary and privacy, and are not open for public visitation. A few of the temples in Korea choose the later type. The Dae Yeon Sa Temple is a very traditional temple that teaches Buddhism and Martial Arts. This is the tradition that is taught to the students of Tukong Moosul today. Eun Kwang Bup Sa was born in 1895 and passed away in 1996 at the age of 101 years. He was headmaster of Dae Yeon Sa Temple from 1955 until his passing. Eun Kwang Bup Sa was Master Yi’s Grandmaster and greatest mentor influencing, molding, and guiding Master Yi for the rest of his life. Eun Kwang Bup Sa taught “Jeong Shin Il Do, Ha Sa Bul Sung”. Translated, this means that when one summons one’s mind, heart (body), and spirit in one direction together, nothing is impossible and you can accomplish anything that you desire. Grandmaster Wonik Yi’s goal, in honor of headmaster Eun Kwang Bup Sa, is to offer and pass forward to his students all of the knowledge, wisdom and philosophy that he has acquired through his years of training. The students that are willing to listen and work hard will find direction in their life; they will become humble beings, with a great understanding of self-accomplishment, self-esteem, and an understanding of the importance of life. Grandmaster Wonik Yi entered Dae-Yeon temple at the age of five in 1964. He lived at the temple until the age of nineteen and trained in traditional Moosul (Martial Arts) until he joined the South Korean Special Forces to do his duty for his country. 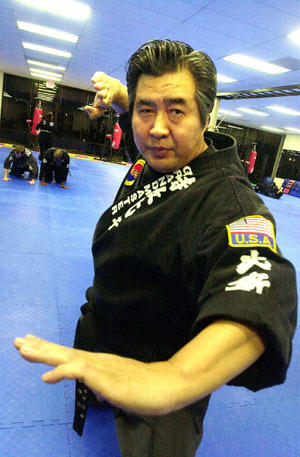 While he was in the special forces, his commander, General Chang, and the Korean Government noticed his prominence in Martial Arts and asked him to devise a more modern, powerful, and effective fighting martial arts for the South Korea Special Forces and the military version of Tukong Martial Arts was born in February of 1978. In the beginning, Tukong Moosul was called Tukjun Moosul. In 1980, Korean Military 26th division became Tukong Division and most other divisions started creating the Tukong Battalion. There are now over a few hundred thousand South Korean military and reserve soldiers training each year in the military version of Tukong Martial Arts. 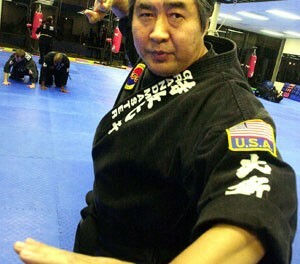 Grandmaster Wonik Yi came to America in 1982 and has been teaching Tukong Moosul ever since. The Tukong Moosul taught by Grandmaster Yi in the USA is very traditional and taught in the same way he learned from his Master, Eun Kwang Bupsa, at the temple. His Tukong Moosul is the combination of this traditional ancient temple style which was developed through many generations from 1200 AD and the innovative modern style based on scientific research and theories. Grandmaster Wonik Yi was granted the 9th degree designation, which is the ultimate degree in martial arts, by his master, Eun Kwang Bupsa, before he passed away in 1996. Grandmaster Yi also holds a doctorate degree in education. Grandmaster Wonik Yi’s Tukong Moosul is evolving into a total philosophy of the human being. 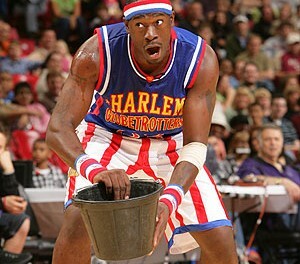 What he teaches is not just physical or mental martial arts. He teaches the students how to live their lives. That is because he strongly believes that the best way to predict the future of a human being is to create one.